All of our products have exact sizes listed. Once you've clicked on a product, just scroll down further on the page until you see the word DETAILS. Underneath that you'll see the specifics of the design. NOTE: It's directly above REVIEWS. How do I unzip my digital files? 1. Locate the “zipped” folders that you have downloaded. 2. When you double-click on the ‘zipped” folder, you will see the files that are inside, but they are not “unzipped” yet. On the left hand side of the window shown on your screen and you will see a link to the command “EXTRACT ALL FILES”. Click on this. 3. An extraction wizard window should pop up. Click on “NEXT”. 4. You should see a description of the destination of where your computer would like to place the unzipped files and a “BROWSE” button next to it. Make sure that the location in that window is actually where you want the unzipped files to end up. until you have highlighted the specific location where you want the files to go. Then click “OK”. 6. Once you click “OK” the browse/selection window will disappear and you will be returned to the extraction wizard window. Click “NEXT”. 7. You can now either view the files (by putting a check in the box referring to viewing) or not (uncheck the box) and by clicking on “FINISH”. You now have completed unzipping your files. 2. Double click the “zipped” folder you would like to open. 3. Right-click and highlight the file inside the “zipped” folder, and without releasing the right-click button drag the file onto your desktop. 4. You now have completed unzipping your files. How do I find the Design Wall? To access the Design Wall, add products to your Shopping Cart and you'll see a button for the Design Wall beneath your list of products. 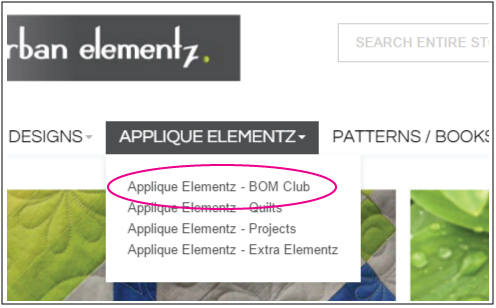 Once you are in the Design Wall, you can upload photos of your quilts, layout, resize & rotate different quilting designs, and even change the thread color! What is the difference between purchasing a PAPER pantograph, a DIGITAL pantograph, a SELF-PRINT pantograph, and a TEAR AWAY pantograph? Paper Pantograph: A paper pantograph is a 12'-long sheet of paper, printed by Urban Elementz and shipped to you. It includes 1 or 2 fulls rows of the design plus two partial rows to help you precisely line up your rows. 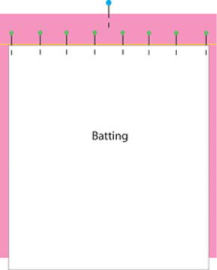 Self-Print Pantograph: A self-print pantograph is a downloadable PDF file that gives you an 8.5" x 11" section of a pantograph, with one full row and two partial rows. These are designed to be printed from your printer in your own home. For additional information, please refer to the FAQ subject "How do I print a Self-Print pantograph?" Digital Pantograph: A digital pantograph is for computerized quilting systems ONLY. These downloads come as a zip file containing the various computerized system formats. These are NOT configured to be printed as a paper version of the design. For additional information, please refer to the FAQ subjects "How do I download my digital files?" and "How do I unzip my digital files?" 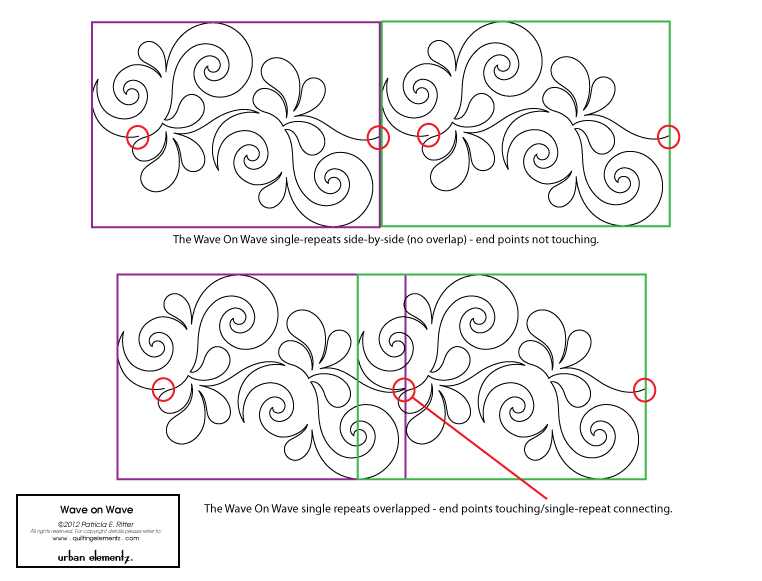 Tear Away Pantograph: A tear away pantograph is intended for both domestic and longarm quilting. 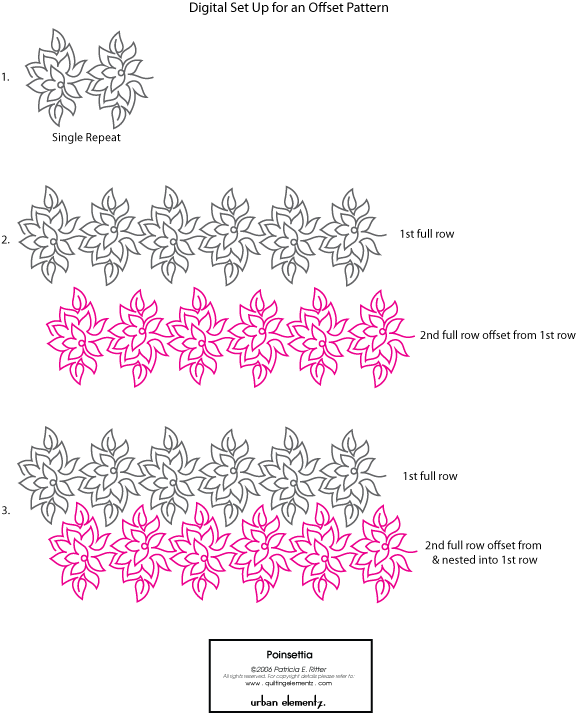 Just place the special Tear Away paper onto your quilt with basting adhesive, quilt directly onto the tear away design, and tear away the paper when done. Can I order a custom-sized pantograph? Absolutely! 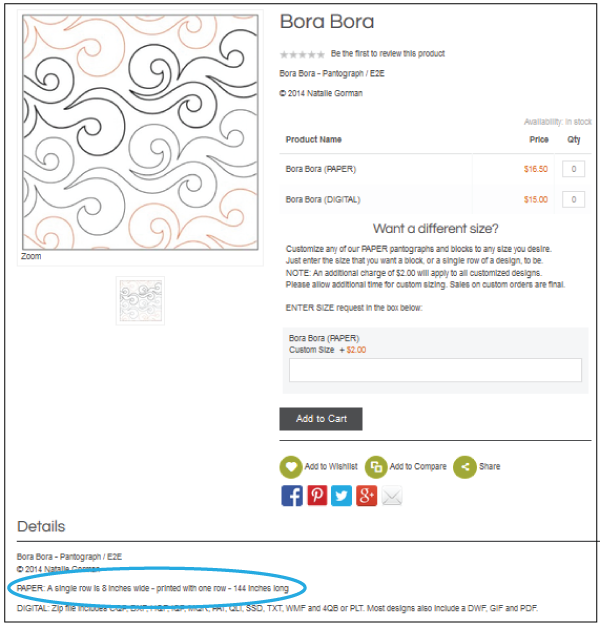 Any paper pantograph or bloack can be custom-sized to the size best suited for your quilt. up or down of the original size. Custom-sized pantographs must be prepaid and will take approximately 2 weeks to ship. All custom pantograph sales are FINAL. PLEASE NOTE: It is against our copyright for customers to resize our paper pantographs and print at home/at a print shop. What is the Essential Elementz Club? / How do I join? / How do I unsubscribe/suspend my membership? You’ve heard of the Book of the Month and the Fruit of the Month clubs, right? Well, we have the Pantograph of the Month Club! How it works ... we send you a panto every month, but this isn’t just a panto. 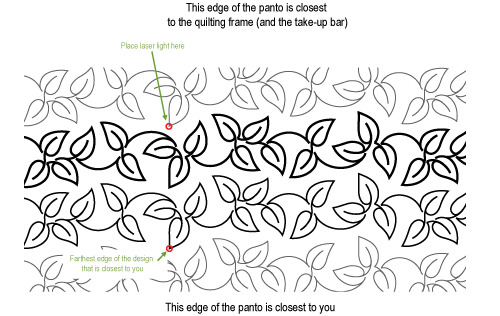 In addition to the standard 144” panto, you will also receive at least 4 complementary designs for blocks, setting triangles and/or sashing, and those of you who regularly purchase pantos know that that’s a great deal. 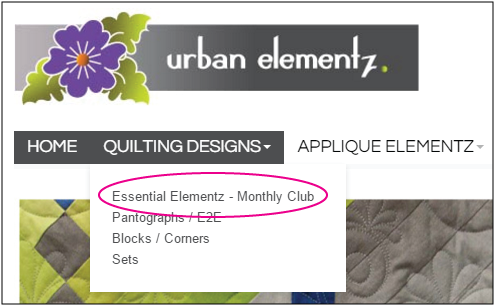 You can join our club though the Essential Elementz page here or (via the navigation bar's Quilting Designs menu). I just bought a computerized quilting system. Can I exchange my paper pantographs for the digital versions? we don't have any program in place for those wanting to convert their paper to digital. But as an individual, you can post your paper pantos for sale in the various online chat rooms. We have seen a number of people do this, and they usually sell their pantos quite quickly. How do Design Boards connect to each other? Design Boards connect together using a small rubber "O' rings that fit into the half circle grooves that are cut into each end of the boards. 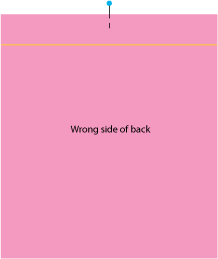 How do I line up the next row when using design boards? After sewing one full row of the design (or two full rows), place your stylus in one of the holes that is closest to the take-up bar. Drop your needle in the down position on your quilt. NOTE: This is done before you advance the quilt. directly in line with the hole on the full row that is closest to you. 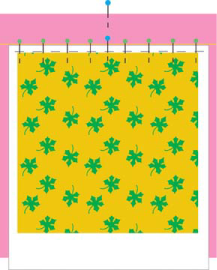 Now you can begin sewing the first row of your design again. How do I use design boards with two boards? lift the first board and place on the opposite side of the second board. Repeat this "leap frog" process for the neccessary length of the quilt. Do I need to purchase a stylus to use the Design Boards? If the stylus that your machine came with has a 1/8" tip, then you DO NOT need to purchase a stylus. Otherwise, yes, you will need to purchase a stylus (or stylus with a bracket) that is specific to your machine. 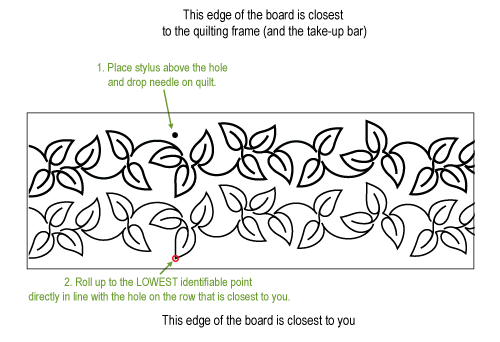 Will Design Boards work with a Quilt Easy stylus? Yes - the grooves in a Design Board are the same size as the Quilt EZ panels. How do I print a Self-Print pantograph? Need a panto immediately? We're here to help! A selection of Urban Elementz designs are now offered as Self-Print pantographs, allowing you to print the design straight from your own personal printer. 1. Purchase the "Self-Print" version of your chosen pantograph and download the Self-Print PDF file. 2. 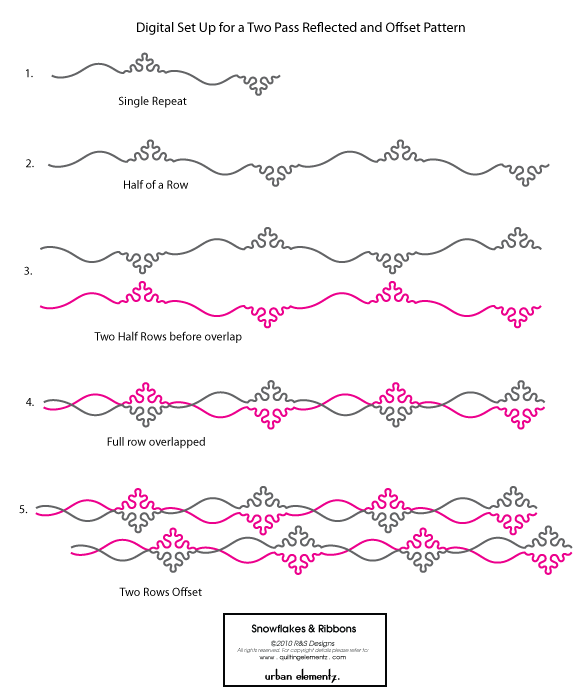 Print as many of the 8.5" x 11" pages as needed for the length of your quilt. NOTE: Before you print, make sure the page is scaled to 100%. 3. Overlap the pages until the images on the separate sheets become a continuous design. Once the pages are aligned, secure with tape. Now you're ready for quilting! The "Precise" Pantograph System helps you to do any pantograph, easy or intricate, effortlessly from the back of your machine.